The Aditya Birla Group owned telecom company Idea is also struggling in the race with other companies like Bharti Airtel, Vodafone and Reliance Jio. And it has unveiled another new plan to their lineup. 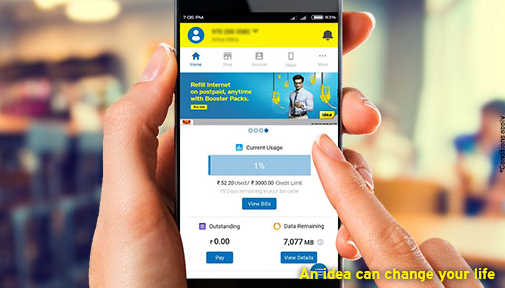 It launched Idea 249 plan, which is already available for other operators as well. The Idea 249 plan details are also similar to it’s competitor’s Rs 249 plans. So, in this article, we are going to talk about what benefits this plan provides and how to get Idea 249 recharge for you!! Under this Idea 249 plan, prepaid users will get 2GB of high speed data per day. The plan comes with the validity of 28 days. Apart from that, normal as well as roaming calls are also provided free of cost without any limit. But, still we don’t know if this plan provides SMS benefits or not. Though this plan is launched from Idea to compete with other networks such as Airtel and Reliance Jio who are offering SMS benefits as well. So, possibly, it will also provide SMS benefits with Idea 249 plan. The “But…” is for this, Idea 249 plan is not available for all. This plan is available for selected prepaid users only. And this is the biggest draw back of this plan. But the company should open this plan for all users very soon as there are many users who needs more than 1GB data a day at reasonable price. How To Get Idea 249 Recharge? First of all, you can visit nearest retailer and initiate the recharge from there. Or you can use Paytm, Mobikwik, PhonePe as these wallet companies provides great cashback offers from time to time. You can also use My Idea app to make the recharge. So, this was the Idea 249 plan details. Please let us know your thoughts on Idea Rs 249 plan in the comments below.